There are fascinating pictures created by John Franzen called EACH LINE ONE BREATH where he draws line by line mesmerizing large-scale pictures. 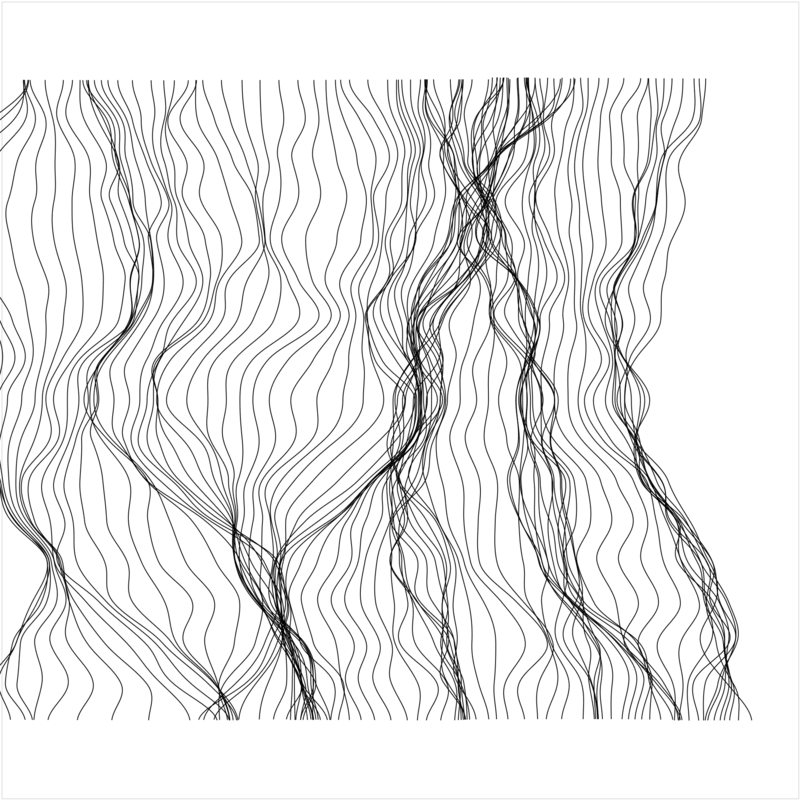 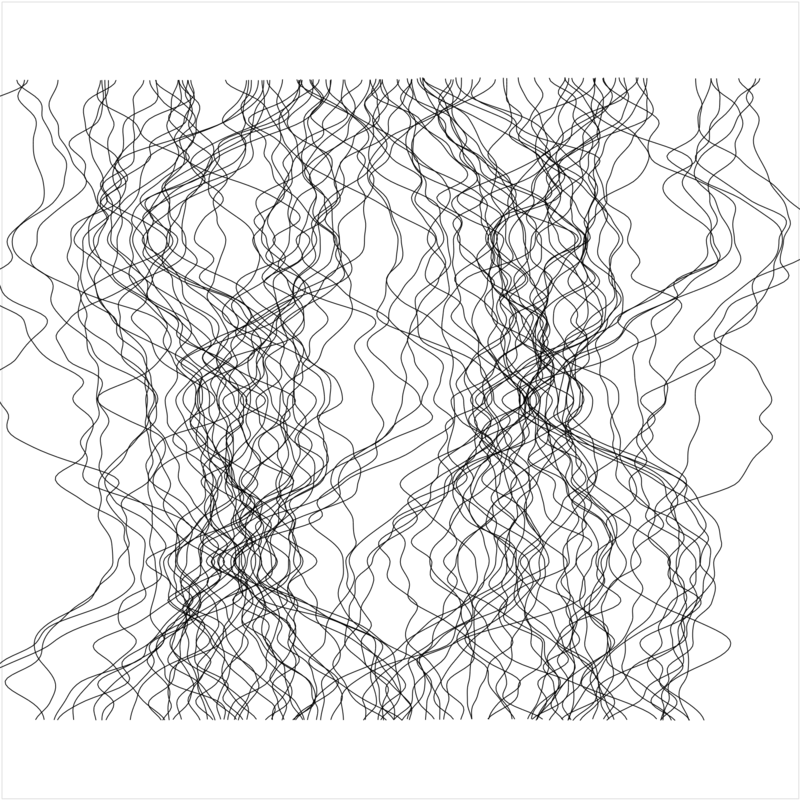 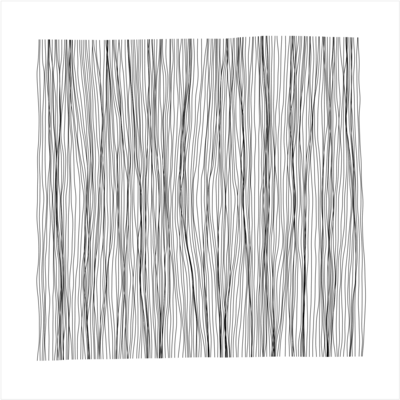 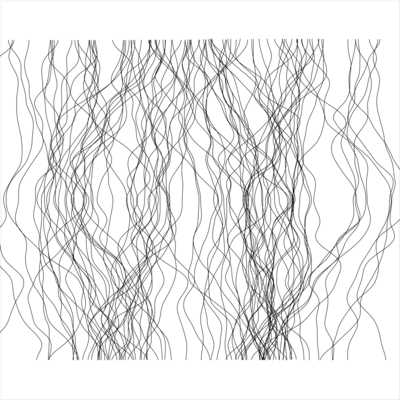 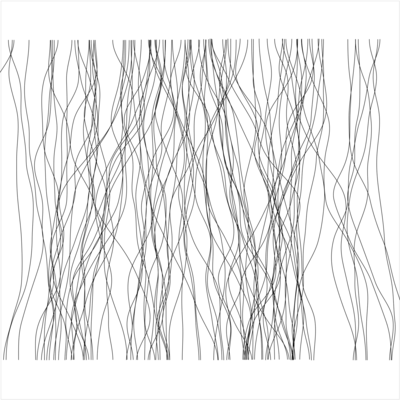 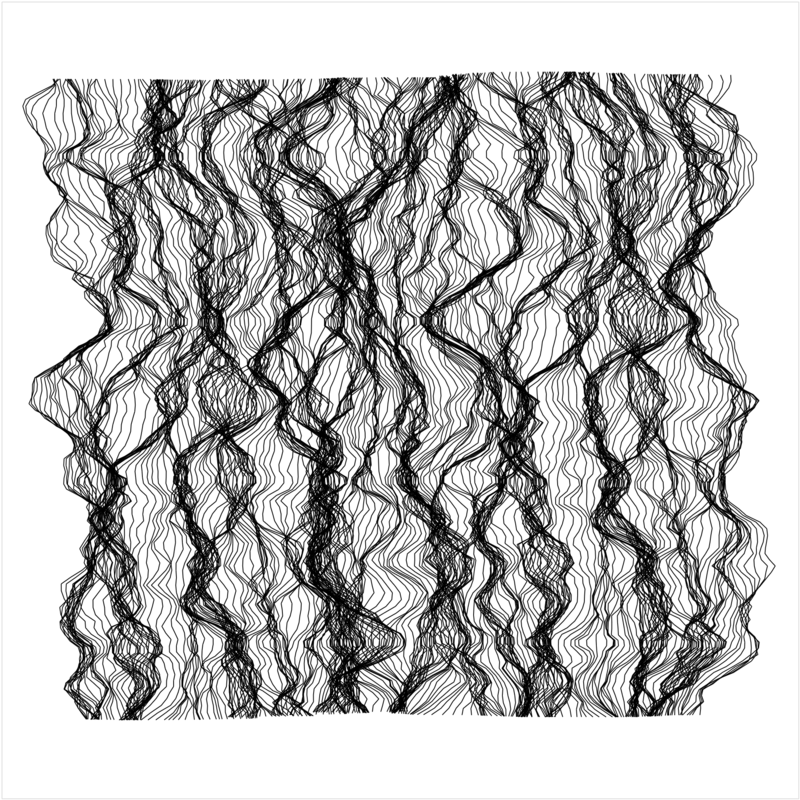 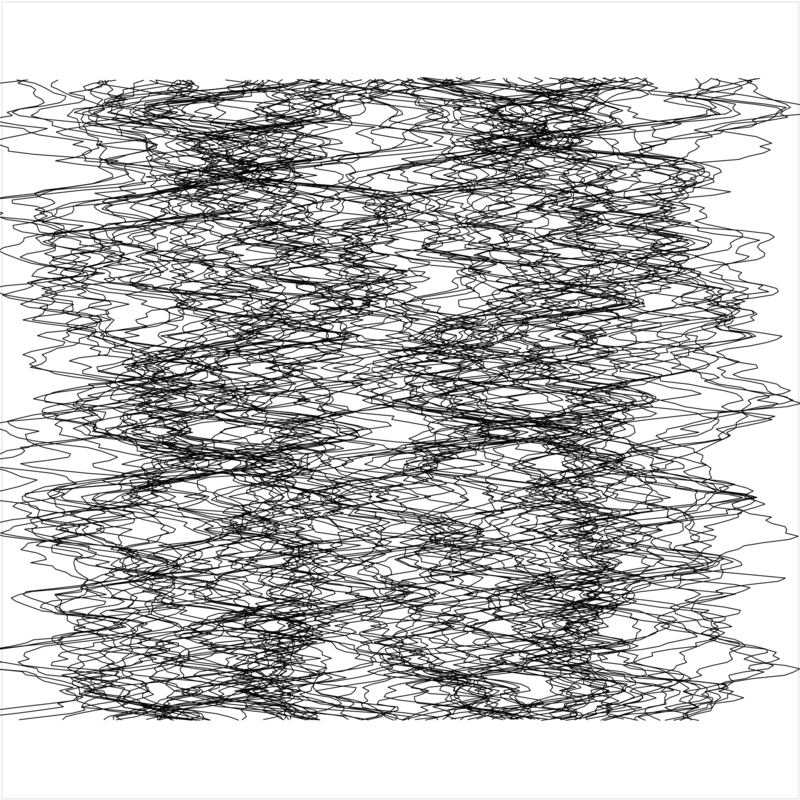 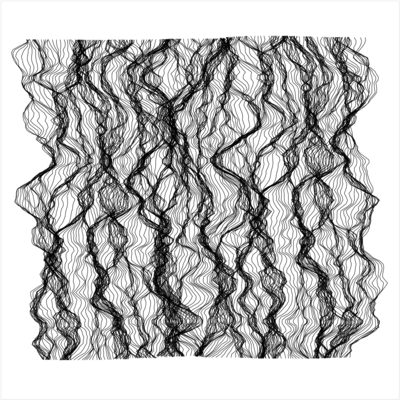 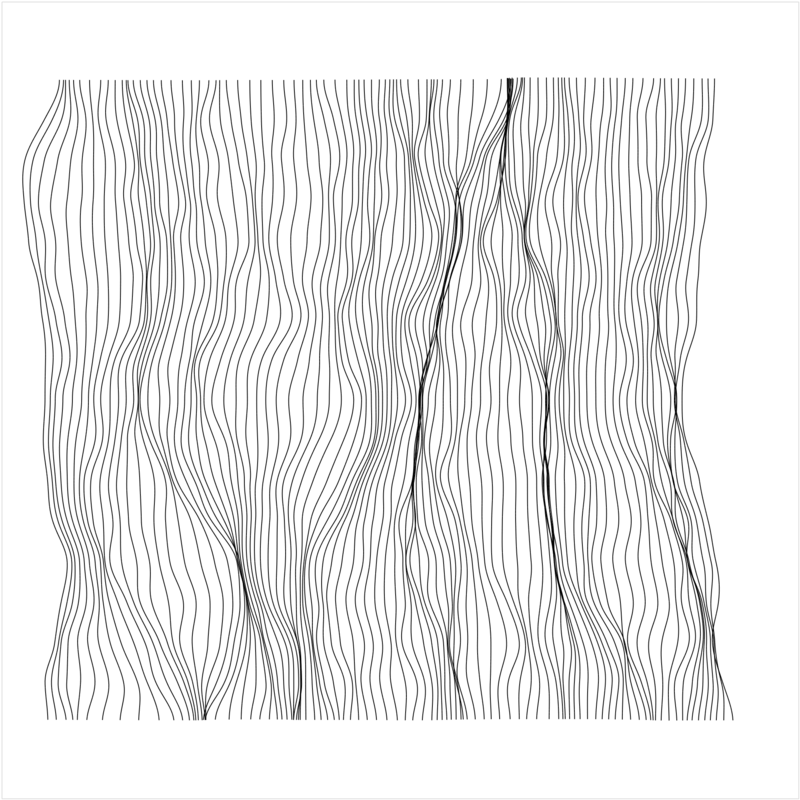 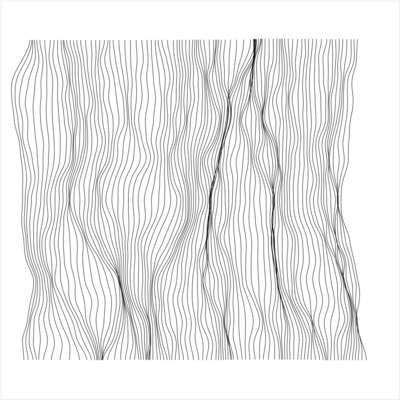 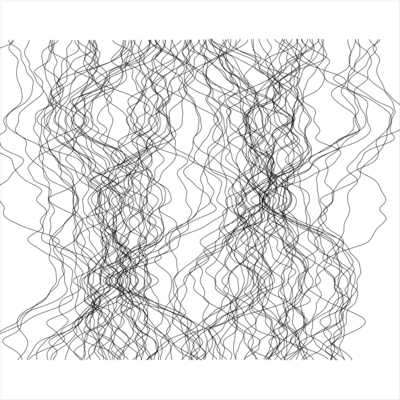 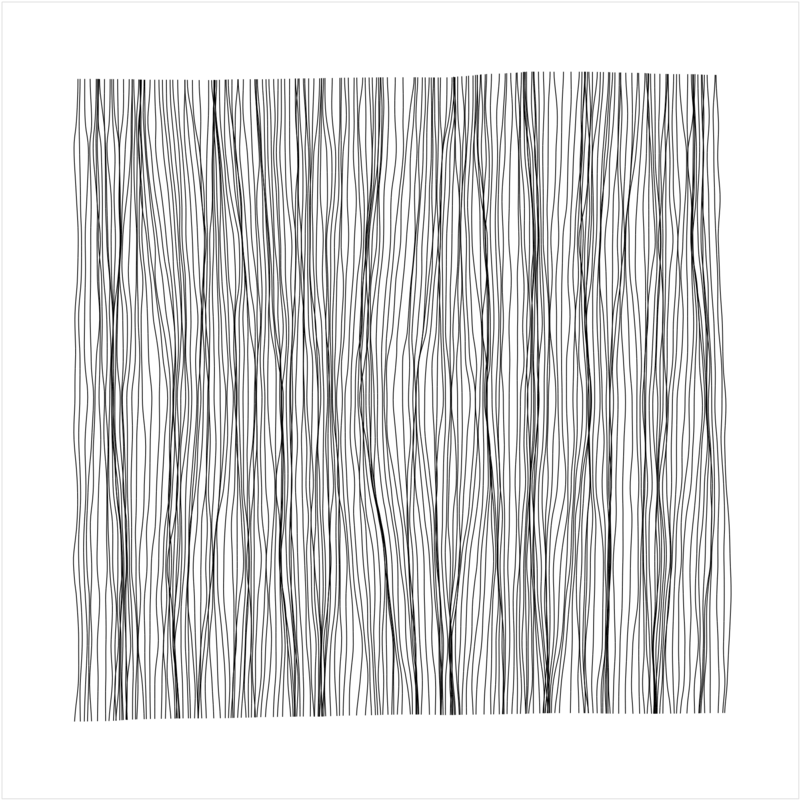 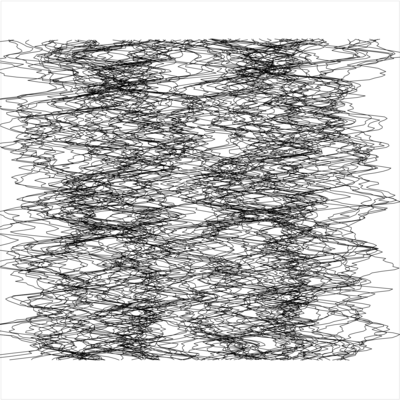 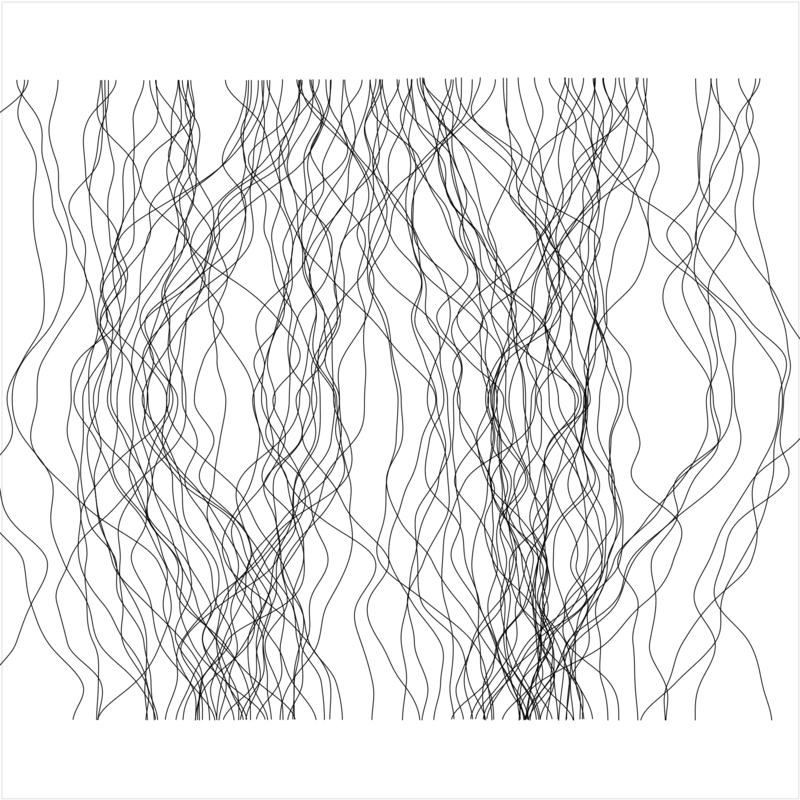 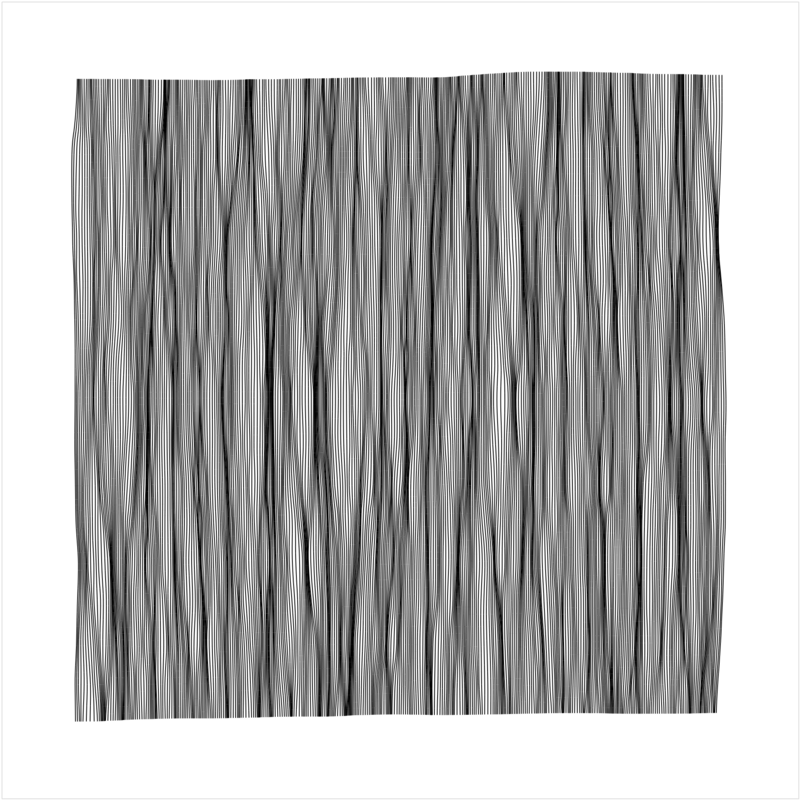 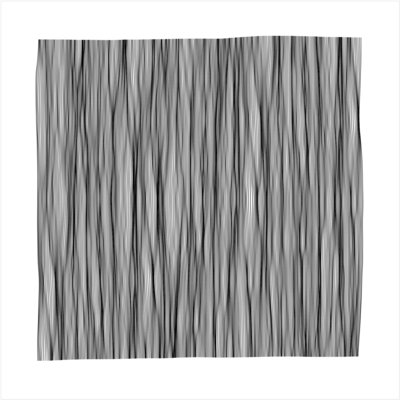 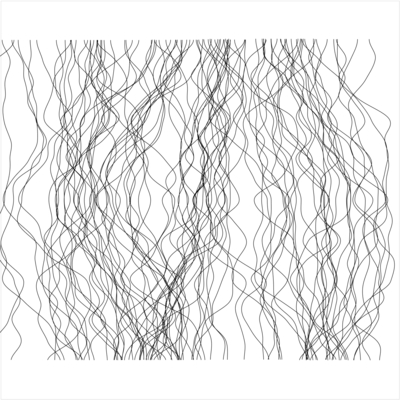 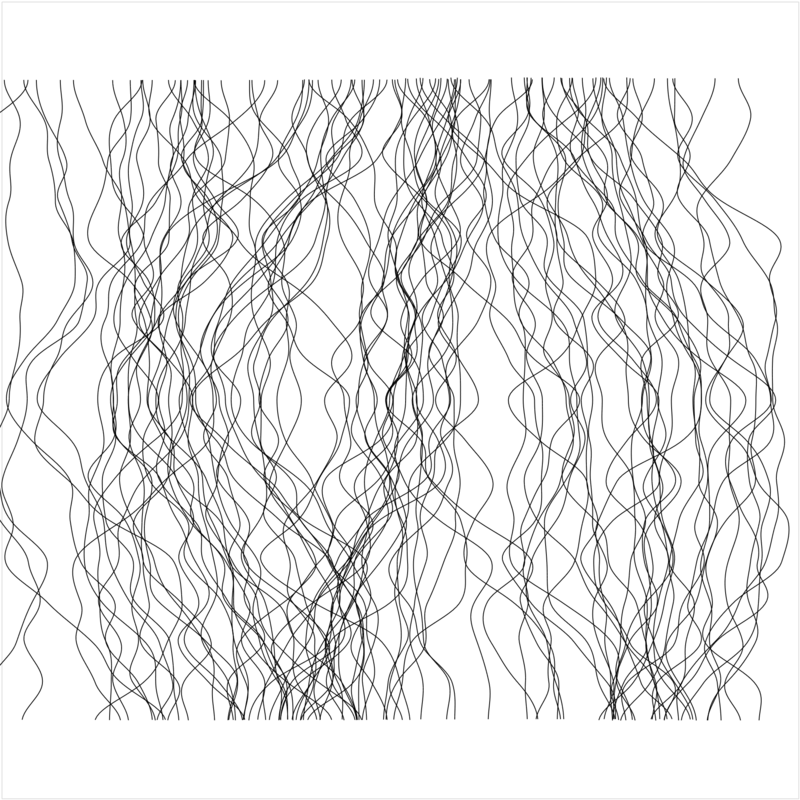 Recently I stumbled upon Linetrace by inconvergent where Anders Hof tries to capture the essence of that process in algorithms. 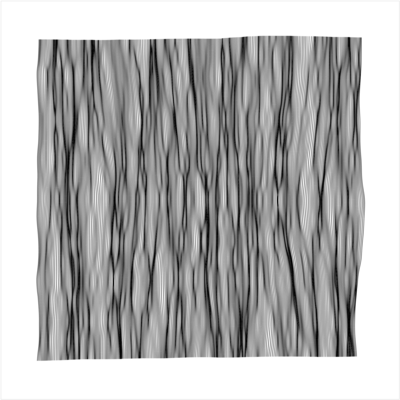 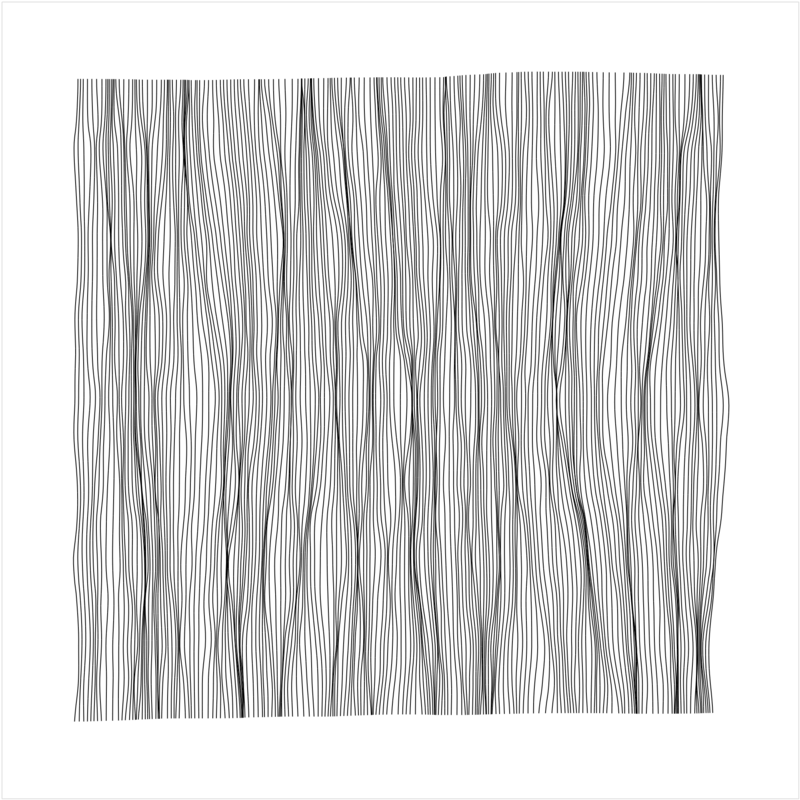 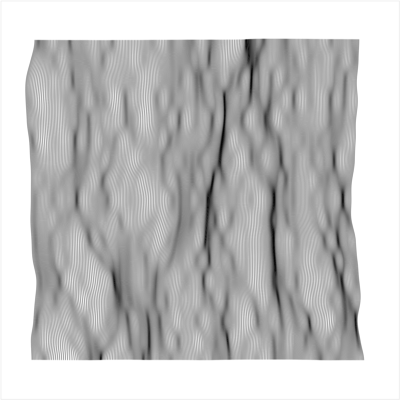 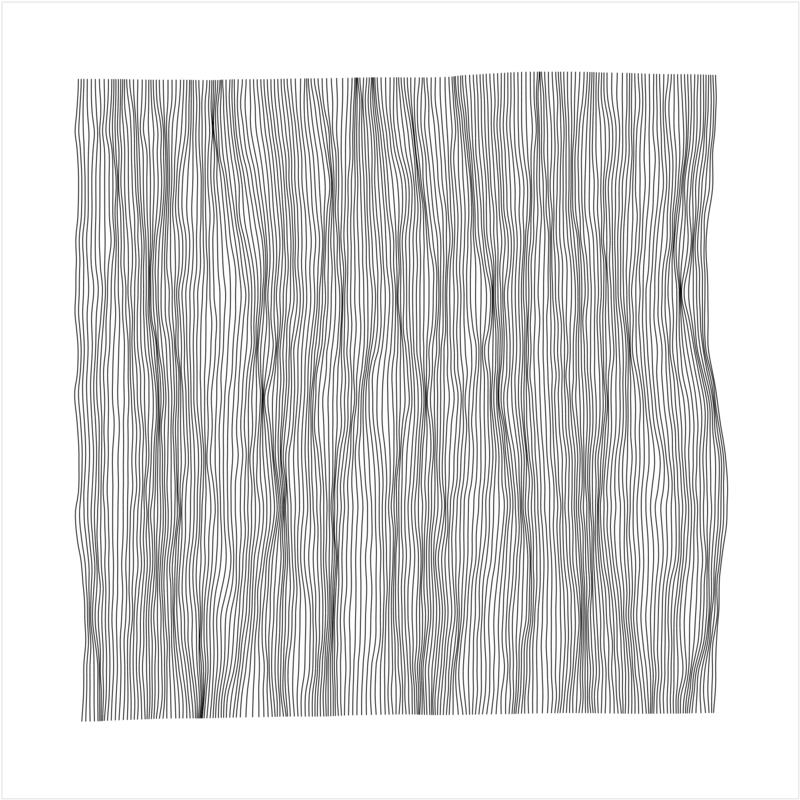 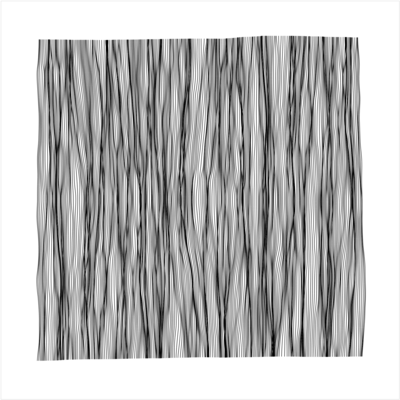 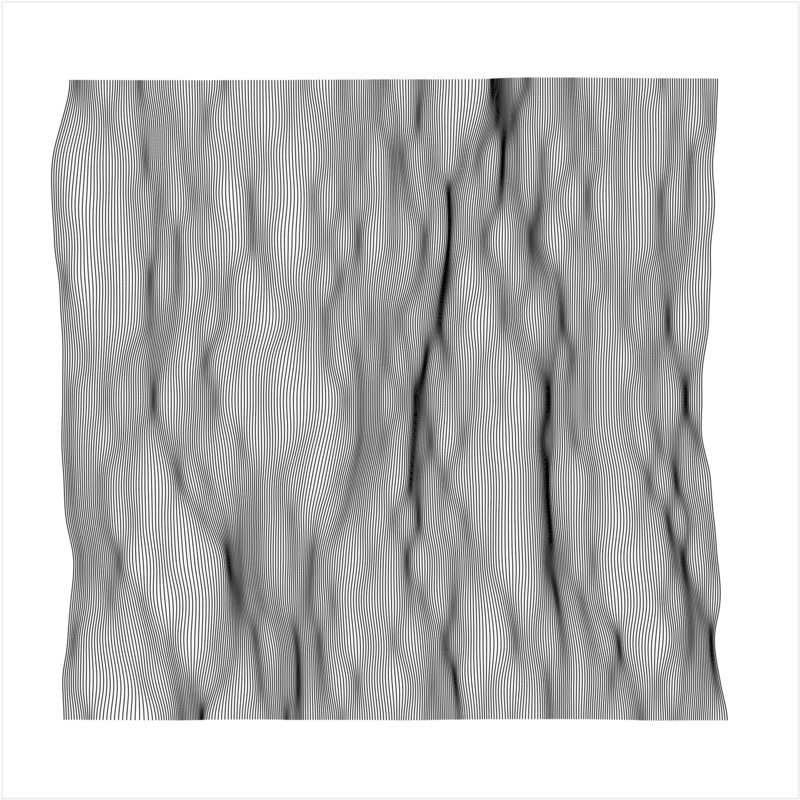 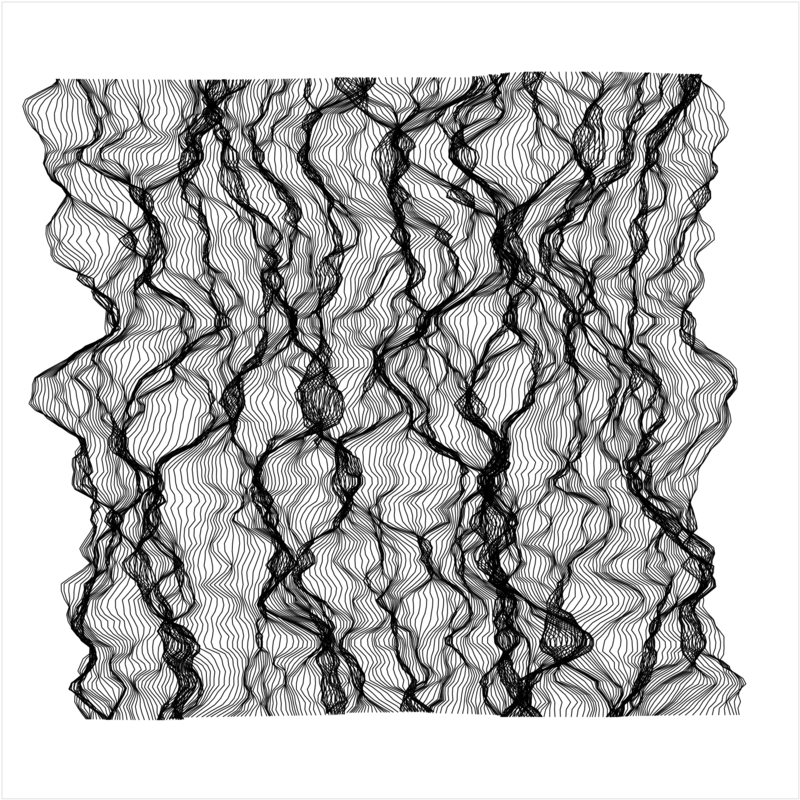 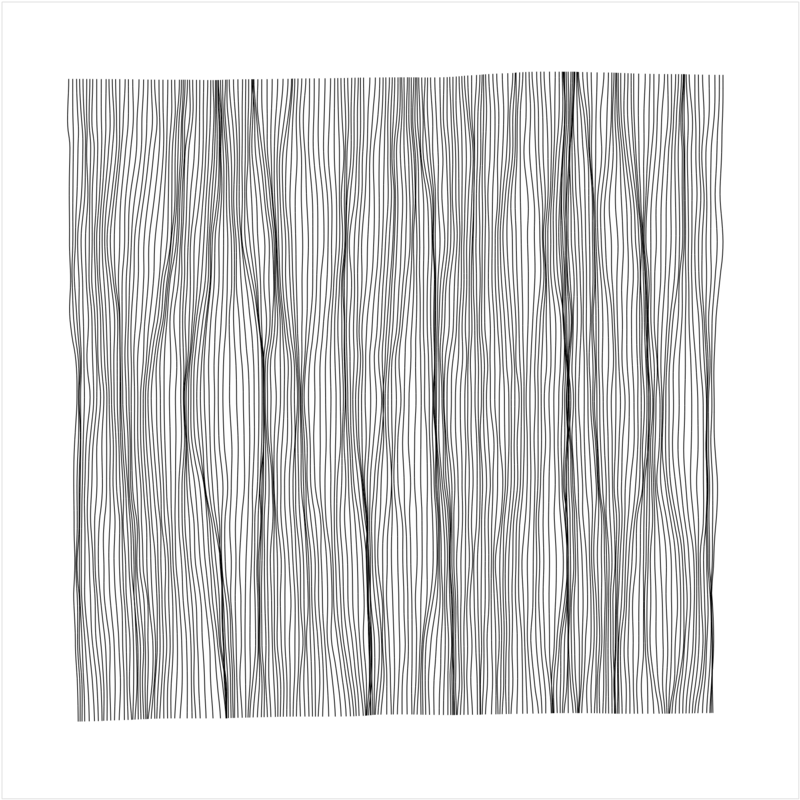 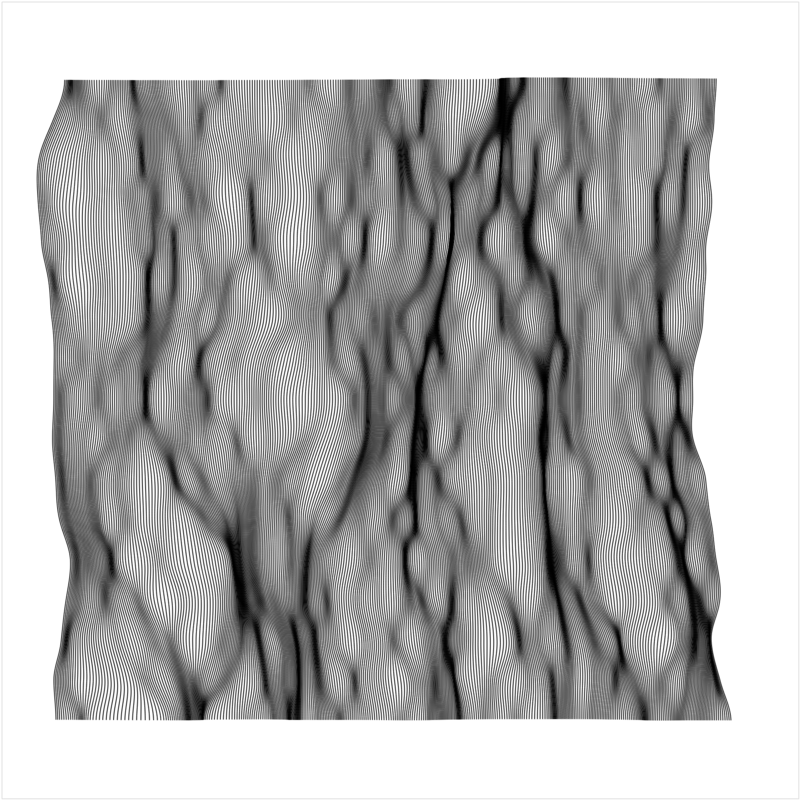 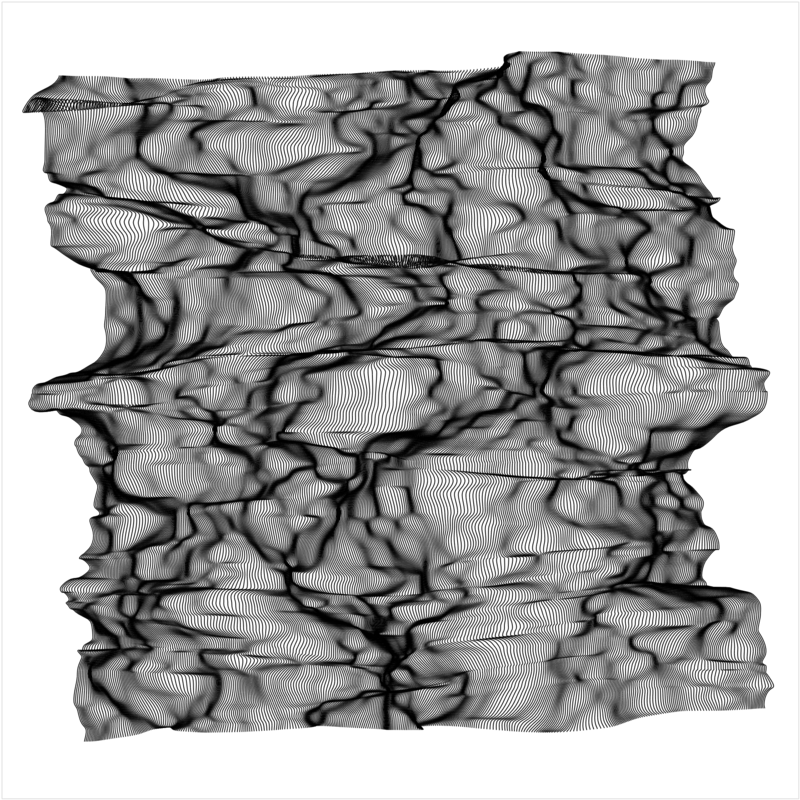 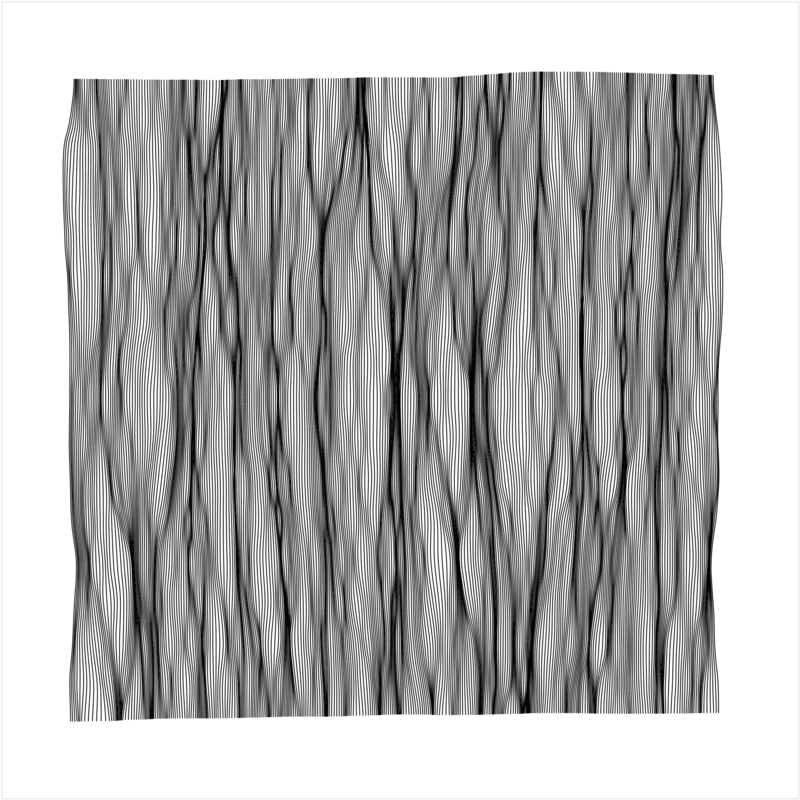 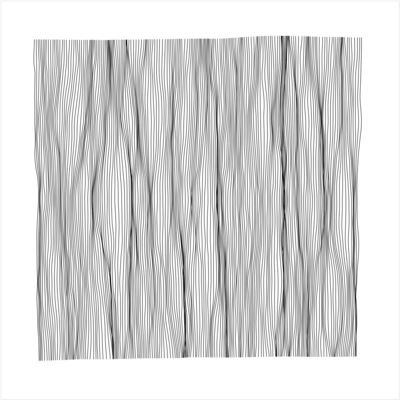 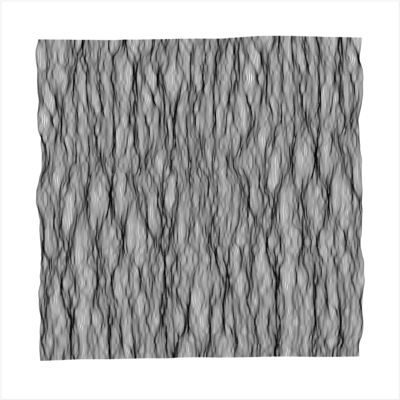 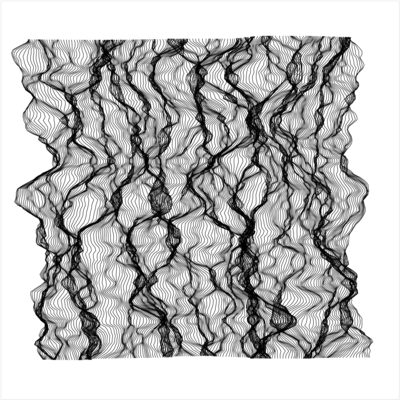 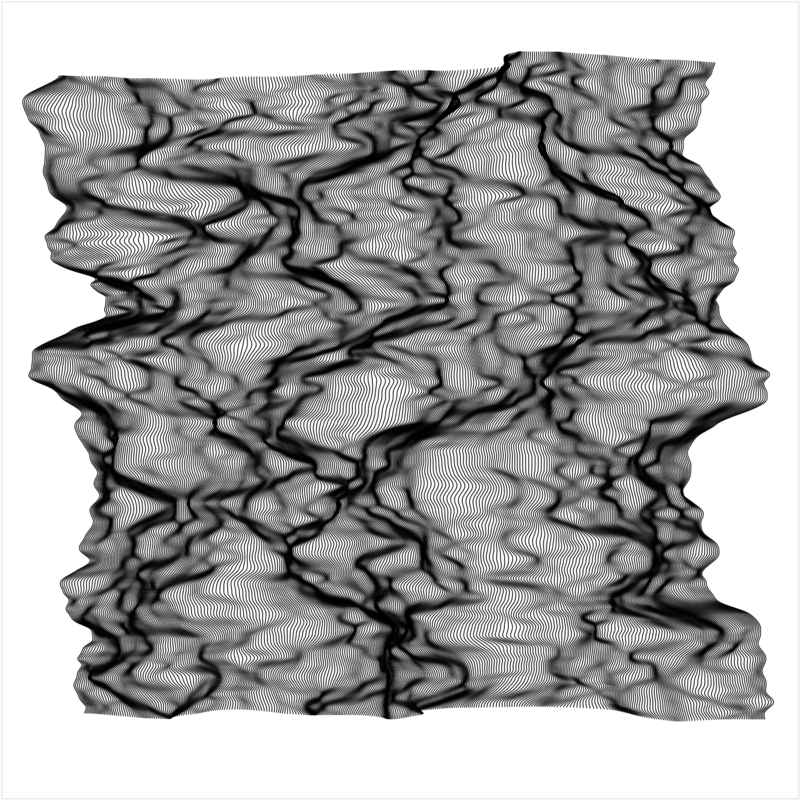 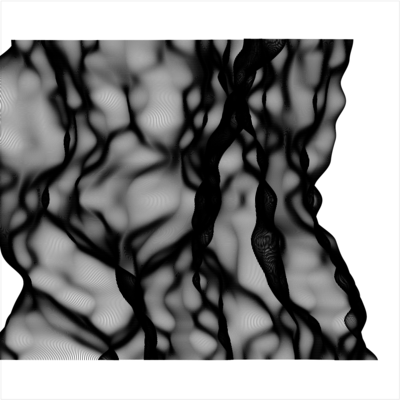 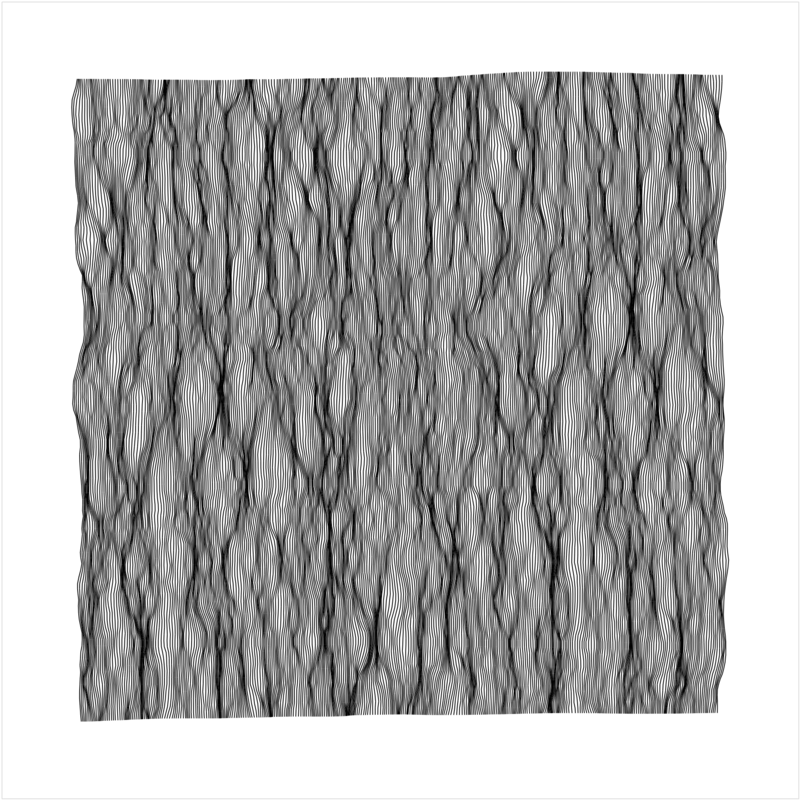 Here I am exploring whether simple Perlin noise can create similar pictures - for this I am starting from a regular grid adding Perlin noise to the positions. 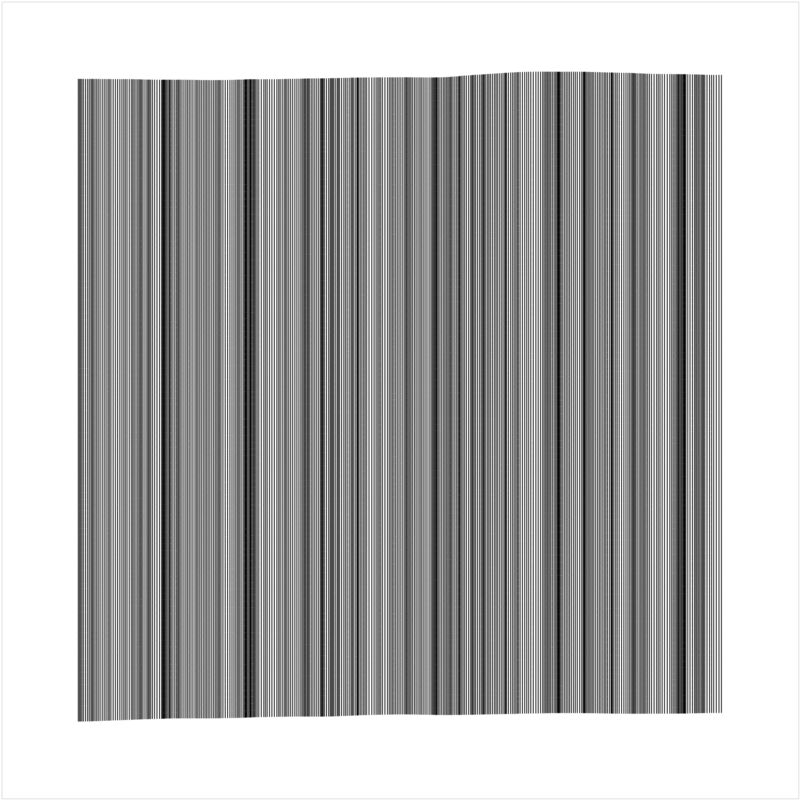 After that lines connecting the vertical ‘columns’ are connected. 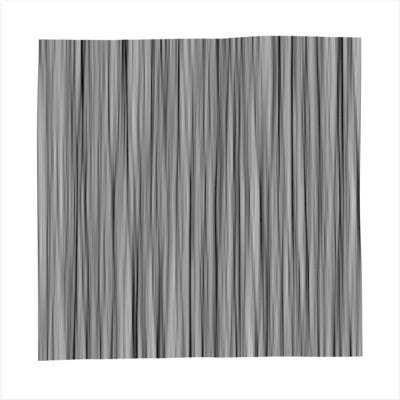 Pressing the key ‘r’ will draw a figure with some different random values.